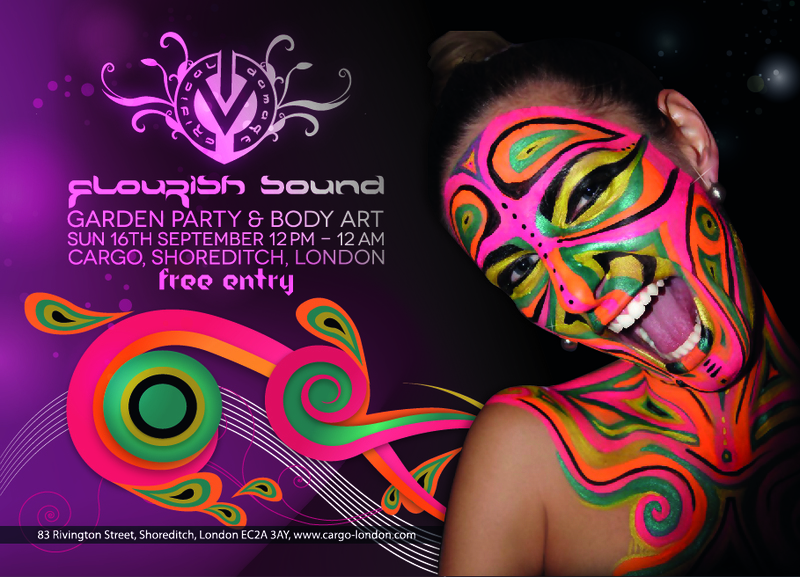 FLOURISH SOUND – Garden party @ Body art.Sun 16.09.2012. Garden party @ Body art.Sun 16.09.2012.Cargo,Shoreditch,London. Critical Damage presents FLOURISH SOUND – Garden party @ Body art.Sun 16.09.2012.Cargo,Shoreditch,London. DJ’s: Momchill Out & TITI ss On Sunday 16th September Critical Damage is coming up with their first event at Cargo Shoreditch presenting Flourish Sound. Special guest Mishell will deliver an unforgettable experience to all of us with Sensual Body Art. Anyone can get painted! Sep 23, 2012 FLOURISH SOUND – Garden party @ Body art.Sun 16.09.2012. Sep 04, 2012 Garden party @ Body art.Sun 16.09.2012.Cargo,Shoreditch,London.